Welcome to Part 10 of my blog series about game development. 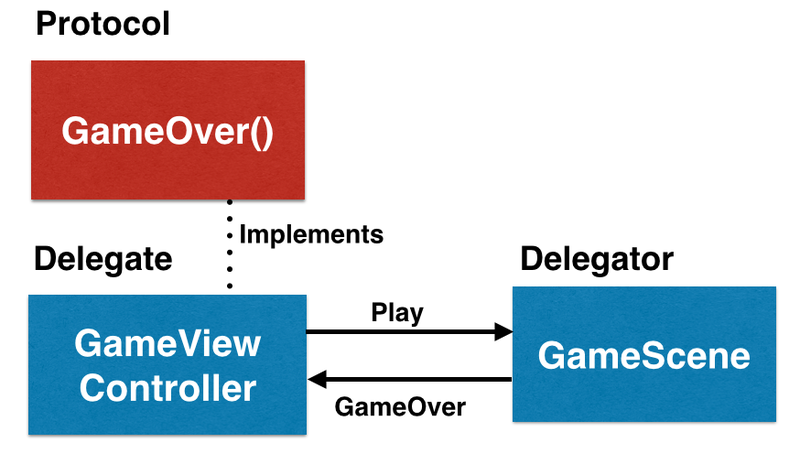 Today I'll show how to use a delegate pattern to communicate with the ViewController which contains our Scene. 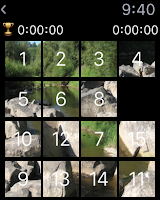 You can download the project from GitHub: v0.7 if you haven't completed part 8. 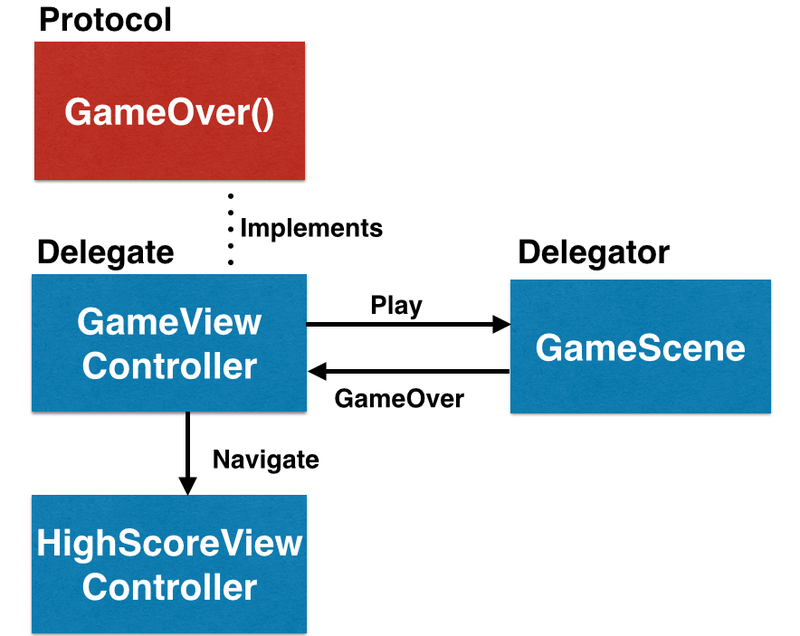 The ViewController presents the screen and starts the game. This works fine as long as the game lasts. But what can you do, if the game is over? That's all for today. In my next post I'll try something with SWIFT.